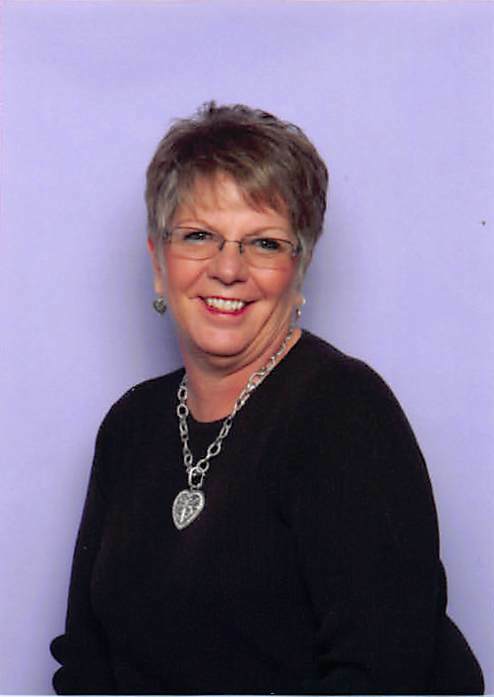 Mary G. (Juenemann) Braden, age 67, of Hays, passed away Sunday, February 3, 2019 at the Good Samaritan Society, Hays. She was born May 1, 1951 near Rexford, Kansas on the family farm to August John “Gus” and Estella (Moellering) Juenemann. She married Leo A. Wildeman November 21, 1970 in Selden, Kansas. Of this union were born two children, Sean L. Wildemann and Jodi L. Wildeman. They lived in Quinter, Kansas until February 1974 when they moved to Oberlin, Kansas. They divorced in 1986. Leo died on June 15, 2000. She married Randall C. Braden on April 29, 2000 in Hays. Mary was active in the church using her music and leadership abilities. She moved from Oberlin in 1987 to Hays. There she worked full time and attended fort Hays State University and graduated in May 1992. She was a Compeer volunteer and promoted the Hays Relay for Life sponsored by the American Cancer Society. She co-founded SOS a breast cancer survivor support group and Your Voice Through Cancer a stage 4 cancer support group. Mary worked for Fort Hays State University and the State of Kansas Social and Rehabilitation services for a total of 23 years. Survivors include her husband of the home; a son, Sean Wildeman and wife Jenelle of Vancouver, Washington; a daughter, Jodi Schumacher and husband Brian of Pratt, Kansas; step children, Scott Braden of Ottawa, Kansas, Stewart Braden of Yates Center, Kansas, Catherine Faimon and husband Chris of Burlington, Kansas, and Lori Schmidt and husband Andrew of Elizabeth, Colorado; seven grandchildren; a sister, Margaret Miller of Wichita, Kansas and two brothers, Roy Juenemann of Wichita and Gerard “Jerry” Juenemann of Olathe, Kansas. She was preceded in death by her parents and two brothers, Jim and Jack Juenemann. Funeral services will be 10:30 AM Saturday, February 9, 2019 at St. Nicholas of Myra Catholic Church in Hays. Private family inurnment will be at a later date. Memorial visitation will be Friday 5 PM - 8 PM with a combined parish vigil service and rosary at 7 PM. All at Brock's-Keithley Funeral Chapel and Crematory 2509 Vine Hays, KS 67601.